The Epistle of Maryanus, the Hermit and Philosopher, to Prince Khalid ibn Yazid. Liber de compositione alchimiae or the The Book of the Composition of Alchemy is believed to have been the first book on alchemy that was translated from Arabic into Latin. The translator was the Englishman Robert of Chester who was one of the earliest translators to flock to Spain to learn Arabic and to translate some of the Arabic works. He completed his translation on 11 February, 1144. With the translation of this book, Europe was acquainted to alchemy for the first time. Thus Robert writes in his preface to the translation: “Since what Alchymia is, and what its composition is, your Latin world does not yet know, I will explain in the present book”. Liber de compositione alchimiae acquired a prominent place in the Latin alchemical literature. The names of Morienus (Maryanus) and Khalid became well known to all alchemists in Europe. Their importance matched that of al-Razi, Ibn Sina and Jabir. A large number of Latin manuscripts have survived. These were classified into several categories. Five contain the original Latin text that was not altered by later editors. Two of these un-edted manuscripts go back to the thirteenth century. They are the Glasgow Hunterian Library MS 253, 46r-53v, and the Paris Bibliotheque Nationale MS Lat. 7156, 197-201v. They contain the story, as told by Ghalib the mawla (client) of Khalid, of how Khalid and Morienus came to meet each other. This is followed by the dialogue between the two. All the other numerous manuscripts contain a revised dialogue. Some contain a preface by Robert of Chester, and some have an additional speech by Morienus. The various parts were printed for the first time in 1559 in Paris. The printed edition contains the preface of Robert of Chester, the speech of Morienus, the revised account of Ghalib, and the revised dialogue. The Latin title translates as:” Booklet of Morienus Romanus, of old the Hermit of Jerusalem, on the Transfiguration of the Metals and the Whole of the Ancient Philosophers’ Occult Arts, Never Before Published”. The same publisher issued a second edition in 1564. The text was printed in 1572 in a larger collection of alchemical texts published in Basel. The Latin printed edition was translated into English, German and French. In 1974 an English translation based on the oldest unrevised Latin manuscripts was undertaken by Lee Stavenhagen who published the Latin text on opposite pages to his translation. As is customary with most historians of alchemy of the nineteenth and twentieth centuries, such as Berthelot and Ruska, doubts were cast on the old established knowledge about the translated Arabic works into Latin. Thus the Latin works of Jabir were considered to be authored by a Latin Pseudo-Geber. The Morienus-Khalid dialogue did not escape a similar kind of judgment. Ruska who was a master in the art of considering most works to be written by pseudo authors, cast doubts about Robert of Chester’s translation and on Khalid, Morienus and their dialogue, and he came out with the conclusion that the whole Latin work was a compilation of an Italian Christian cleric possibly as late as the fourteenth century. Other scholars followed Ruska in this assumption. The curious thing is that Ruska knew about the existence of several citations in Arabic alchemical literature extracted from the Maryanus--Khalid dialogue, but this did not deter him from coming out with his conclusion. The Italian compiler, he assumed, should have known Arabic and he had interpolated some Arabic citations. Ruska did not know as yet about the existence of the complete Arabic texts. This stresses again the fact that historians of science, however eminent and scholarly they are, should not come up with sweeping conclusions on the basis of the limited Arabic sources available to them. Although Stavenhagen was also skeptical about Robert of Chester and his Latin translation, yet he became convinced that the work was “certainly a translation from Arabic”. He arrived at his conclusion after he saw Holmyard’s translation of The Book of Knowledge Acquired Concerning the Cultivation of Gold العلم المكتسب في زراعة الذهبof Abu al-Qasim al-`Iraqi. , and by the mention of Maryanus and Khalid in the commentary of Ibn Umayl on Kitab al-ma’ al-waraqi wa al-ard al-najmiyah. Stavenhagen did not know about the existence of the complete Arabic manuscripts of the Maryanus-Khalid dialogue. There is no doubt about Khalid’s place in the history of the Umayyad Caliphate. Ruska and others doubted whether he has engaged himself in alchemy. Sezgin gave enough historical evidence testifying that Khalid did actually work on this science. His relationship with Maryanus was told by Jabir in Kitab al-Rahib, and citations from the dialogue were given by most succeeding Arab alchemists, such as Ibn Umayl (10th century). In 1971 Sezgin’s volume IV was published. It indicated the existence of complete Arabic manuscripts of the Maryanus Khalid dialogue. Similarly in 1972 Manfred Ullman’s Die Natur und Geheimwissenshaften im Islam was published giving also similar information about the complete manuscripts. Both furnished information about other Arabic works that gave citations from the dialogue. Thus the question of the Arabic origin of the dialogue was settled. It was deemed necessary, however, to edit and publish the Arabic text and correlate it with the Latin translation. The present work aims at this. The writer had sought to obtain copies of the two known Arabic manuscripts from the libraries of Istanbul, and he was fortunate to receive help. These are Fatih 3227 (fol. 8b-18b) and Şehit Ali Pasha 1749 (fol. 61a-74b). The arrival of the copies made this work possible. The writer was able also to secure copies of several Arabic manuscripts that gave citations from the Maryanus-Khalid dialogue. Appendix 1 gives a list of the Arabic sources that were available for this study, and a list of the manuscripts that were not available. It is believed that more Arabic sources may appear in future. The Arabic texts of Fatih and Şehit Ali Pasha are similar to each other with minor differences. Fatih was taken as a base, and an edited text is now ready. There remains a review of the citations in the various other works. The largest citation is the in Kitab al-shawahid fi al-Hajar al-wahid, in BL MS add 23418. It was found that the text in this MS has been revised so that it deviates to some extent from that in Fatih and Şehit Ali Pasha. The texts in Fatih, Şehit and BL were compared with the two English translations mentioned earlier. It was found that the translation of Stavenhagen corresponds very well with the Arabic text of Fatih and Şehit. This result seems understandable because Stavenhagen opted to translate the oldest un-revised Latin text, whereas the seventeenth century English translation published by McLean is based on the revised Latin text that was printed in Paris in 1564. The English translation of Stavehagen and the Arabic text start with Ghalib’s account and contain the dialogue. The Speech of Morienus is not part of the Arabic text nor of the earliest un-revised Latin text that was translated by Stavenhagen. The last pages of the English translation are not found in the Fatih and Şehit manuscripts. Search will continue to find the possible Arabic texts that correspond with these. The account or prologue of Ghalib is reproduced at the end of this article. It shows the correlation between the Arabic text and the English translation. The page numbers of the Stavenhagen translation are given so the reader can consult also the Latin text that faces the English one. The important deviations between the Arabic and the English are indicated. 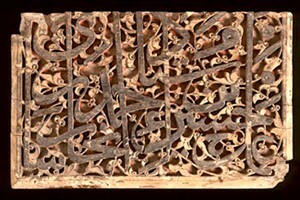 The endnotes show the distortion of the Arabic names. There must have been errors in the Latin translation due to some ambiguity in the Arabic text or of lack of understanding it. There is also in some places a purposeful editing while the translator was undertaking his work. These will become apparent to the reader. The writer did not deem it necessary at this stage to make a new translation of the Arabic text, but the reader who knows Arabic will be able to see how closely and remarkably the English translation correlates with the Arabic original. this is the story of how Khalid ibn YazId ibn Mu'awiyya came into possession of the spiritual riches handed down from Stephanos of Alexandria to Morienus, the aged recluse, as is written in the book of Ghalib, bondsman of YazId ibn Mu'awiyya. Now Ghalib was YazId's faithful (servant), entrusted with all his master's possessions, and in time, it is said, became faithful servant likewise to Yazid's son Khalid. and on this occasion a certain man came to him and desired to speak with him. Hearing of this, Khalid bid the man come before him. He saluted Khalid, and Khalid returned his greeting. The fellow then spoke thus to Khalid: "I dwell in the mountains of Jerusalem, and I have come to you, O king, with delightful news. Never has anyone before me given any king such cause to rejoice." "And what is this news?" asked Khalid. He replied: "I have heard many say that it is you who continually seek after the operation which the philosophers call the Major Work. I will bring you to the knowledge of it through a certain Romaean, who lives as a recluse in the mountains of Jerusalem, but whose dwelling place I well know. He sends large amounts of gold to Jerusalem every year." Khalid said to him: "If I find that you have told the truth, I will reward you with whatever you may ask. But if you have lied, you may expect the worst." فقال له خالد ان كنت صادقا لاعطينك نهض مسالتك وان كنت كاذبا لابلغنك ما تستحقه. "Well," the fellow replied, "so be it." Then Khalid rejoiced greatly and commanded that the man be rewarded with gifts and raiment and much else, as he had promised him. ففرح خالد به واعجبه ما كان منه وامر له بجائرة وكسوة< ووعده> خيرا حسبما قال غالب. And the king commanded me along with many other of his servants to go with him. And so we set out. After wasting much time going from one place to another, in hopes of chancing upon the recluse, we did indeed find him. He was tall of stature, though aged, and although lean, so noble of countenance and visage that he was a marvel to behold. Yet he wore a hair shirt, the marks of which were borne on his skin. We rejoiced to have found him and spoke kindly to him, at last persuading him with sweet words to relent, and brought him with us back to our own country, there presenting him to King Khalid. Never before had we seen the king so pleased by anything. At last he turned to me and asked what had befallen us in going and coming, and told him the story from beginning to end. ثم التفت الي وسالني عن مسيرنا في البيداء والرجعة فاخبرته بامرنا من اوله الى اخره. Then the king regarded the aged man we had brought and wished to know by what name he was called. The elder replied: "I am called Morienus the Greek." And Khalid asked: "How long is it now that you have dwelt as a recluse in these mountains?" He replied: "1 began my retreat four years after the death of King Herakleios." Then the king bade Morienus be seated, and himself arose to give Morienus a place of honor beside him, much pleased with his reserve, modesty, and elegance. فقال خالد اجلس يا مريانس فقعد وشرف مجلسه واعجبه ما راى من سمته وادبه. The king said to him: "O Morienus, recluse though you be, would it not be better that you live in the congregation of others, rather than alone in the mountains?" ثم قال يا مريانس لو كنت في كنيسة او دير كان ارفق بك. He said: "Perhaps, O king. But the virtues 1 look for are in God and in his hand, who will do as he will. And while 1 grant that, as you have said, life might be easier for me than in the mountains, still only he who sows shall reap, and he must reap that which he has sown. Now 1 trust that 1 have gained some little virtue of my own. A man cannot attain repose except through labors of the spirit." فقال اصلح الله الامير الخير الى الله وبيده يفعل ما يشاء قد صدقت الراحة في ذلك اكثر والنصب في السياحة اشد واتعب وانما يحصد الزارع ما زرع وارجو ان تكون الخيرة فيما انا فيه ان شاءالله تعالى وانه لايدرك الانسان الراحة الا بكثرة التعب. Then the king said: "These things are true, if said from the heart by one believing in God. O Morienus, 1 am pleased that you continue in your faith. 1 wished to see you and therefore sent for you." Morienus said to him: "You need not marvel at one such as me, a mere son of the race of Adam. At best, 1 might only be somewhat comelier, except that the passage of time has altered me. There are many like me among men. And at the end is cruel death, than which no punishment is worse; yet a harsher punishment awaits the spirit after death. But the almighty Creator be our aid." فال له ميانس ما انا بعجب وفي الناس مثلي كثير الموت لكل اصد وهو اشد على الاجساد <من ذنوبه> وما بعد الموت اطول واقطع واعظم والله المستعان. The king replied: "Thus God may confound man, who is only scorned the more, the more he is advanced in age." فقال خالد اللهم اعنا عليه فانه داهية على كبر سنه. ثم امر خالد ان اذهب<به> ناحية بالقصر وان اتيه برجل نصراني من الشيوخ العلماء يونسه ويحدثه ليسكن اليه ففعلت ذلك. and the king made it his custom to come twice every day to Morienus, sitting down with him and speaking with him, but asking him nothing concerning his magistery. The king often stayed long, and Morienus confided greatly in him. Khalid inquired repeatedly about the customs both royal and common of the Greeks, and about their times and histories. "Never at a loss for a reply, Morienus retold the marvels of their deeds and discoursed expertly on their sciences, all matters such as the king had never before heard. Nor had anyone before ever held such a firm place in the king's affection as Morienus soon came to hold. وكان خالد ياتيه في كل يوم مرتين فيجلس اليه ويحادثه ويساله عن الامم والزمان وسير الملوك واحاديث اليونانين وهو يخبره بعجايب القوم وحكمهم وامورهم لم يسمع خالد بمثلها فوقع منه موقعا عظيما لم يقع منه احد قط قبل ذلك الى بعض الانام. Eventually Khalid addressed him: "O Morienus, know that I have long , sought the Superior Work, but found none to counsel me in this matter. Therefore I earnestly request that you prepare for me some portion of your magistery. You shall have from me then whatever you may ask, and I will see to it that you return to your own land, God willing. Nor need you thenceforth have any fear of me." فقال له خالد يا مريانس اني طلبت الصنعة حينا وبحثت عن امرها وتعبت فيها فلم اجد احدا يخبرني عنها ولا يدلني عليها فاسالك ان تسبب لي من امرها وعلاجها سببا ولك علي ما تسال مع ردك الي من صنعك الذي كنت فيه ولا باس عليك مني. Morienus said to him: "O king, may God enrich you. Now I understand that you have sent for me only out of great need. But I disregard the kind assurance you added, namely that I should not fear you, inasmuch as I have no need to fear anyone save God alone. You have approached me as an equal in spirit, and now I see by your affection, excellence, and discrimination that one such as I should have no reason to keep from you anything of that which you seek, for you are indeed a man of good intentions as well as deeds and most virtuous. Very well, you have attained to your initiation and instruction simply and with the greatest ease. May the Creator be praised!" At this, King Khalid smiled, and then said: "The crudeness of haste ensnares any man, unless he be ruled by patience. I am of the house of Mu'awiyya, and there is no strength save in great God most high." unless it be through affection and gentle humility, a perfect and true love. For this is something which God gives into the sure keeping of his elected servants until such time as he may prepare one to whom it may be handed on from among his secrets. Thus it is only the gift of God, who chooses among his humble and obedient servants those to whom he reveals it." قال مريانس أنا أبين لك ولا حول ولا قوة الا بالله العلي العظيم أصلحك الله انصت للحكمة تعرف المطلوب وتفهمه وتعلمه وتفكر في مداخله ومخارجه لتقف عليه ان شاء الله تعالى ان هذا الامر الذي طلبته ليس يقدر عليه احد بالشدة ولا يظفر به احد <بالعنف> ولا يصل اليه من عالم الا بالرفق والتودد والمحبة الصادقة اول ذلك انه رزق من الله تعالى يسوقه الى من يشاء من خله بالقدرة البالغة تى يسبب له< تعلم> ذلك ويكشف له عن مستوره وهو من اعظم مواهب الله تعالى يعلمه من احب من خلقه وعباده والدالين عليه الخاضعين له. Khalid said to him: "Surely we know that nothing can be done without the help and guidance of God, most high and eternal." فقال خالد< أجل لا حياة الا بالتوفيق من الله عز وجل>. Then King Khalid said to me: "O Ghalib, quickly now, sit down and write all that we have said." ثم قال خالد اجلس يا غالب واكتب ما يدور بيني وبينه. know, in circumlocutions, in order to confute fools in their evil intentions. This they did by formulating their convictions and true sayings always in parables, so that only those of great wisdom and resource would be able to uncover their true meaning. Since the ancients thus disguised this knowledge, those who would learn it must understand their maxims. Nor may they draw back from this, but must fix their faith in God and persist to the end that he bring them to this knowledge, improve; their estate, and give them direct, unerring access to the methods the science. قال مريانس اعلم يا خالد ان الله تعالى خلق العباد ضعفا من ضعف لا يؤخرون ما قدم ولا يقدمون ما اخر ولا يعلمون الا ما علمهم الله ولا يدركون الا ما اعطاهم الله ولا ينالون الا ما جعلهم اليه السبيل بقدرته وجعل من اختص من خلقه يطلبون علم هذه الموهبة التي تخرج صاحبها من نصب الدنيا وتوصله الى ملك الاخرة ونعيمها فلم يزالوا يتوارثون علمها واحد فواحد حتى درس العلم وذهب اهله وعدم المعلمون فكان مما وجد في الكتب الصادقة والباقية كتب الاولياء والحكماء التي كتبها من كان قبلنا واورثوها من اعقابهم من اراد الله ان يبلغ هذه الصنعة التي وصفوها بالاكثاروالاباطيل وان كانوا اكثروا وسموا الاشياء بغير اسمائها ووصفوها بالرموز وانهم لا محالة قد بينوها واوضحوها واخبروا عنها بالصنعة والامثال والتعريض وحاولوا دفع السفهاء عنها ومنع الظلمة منها بعقول زكية واقاويل صادقة فحيروا ذوي الفهم واهلكوا من لا رأي له وأشاروا لاهل العلم والفهم واوضحوا وبينوا وعلى العاقل طلب العلم فلا يقصر عنه ولكن يكون رجاؤه في الله واليه رغبته ان يلهمه مراشد اموره كلها وأن يرزقه الفهم الناقد والتدبير الجميل والتأويل الصحيح وحسن التاليف من غير زيغ. King Khalid then said: "Now well taught and well spoken, O Morienus, nor do I hold these precepts strange, coming as they do from a teacher of such wisdom and years as yourself, who is willing that I should learn this science. Therefore explain to me clearly that which I ask of you, sparing me needless labor over this matter which I seek from you. Tell me whether this operation is accomplished only by a single principle or by several." قال خالد قلت يا مريانس فاحسنت ووعظت فابلغت ونصحت فارحت وليس ببعيد في ذلك اذا كان مثلك في علمه وسنه ومعرفته ورايه قد وعد أن يستتم ذلك منه فاشرح لي ما سالتك عنه واوضحه لي ايضاحا بينا استغني عن شغل فكري واعماله في هذا الشئ أمن شئ واحد هو أو من أشياء شتى. 6 Manuscript of Abdallah Yurki Hallaq,Aleppo, (p.180). 9- Haidarabad, Asafiya , according to Stapleton. See Sezgin, p.111. 10-Teheran, Khaniqah-i- Ni'matallah 145 (a fragment, 18b) Sezgin, p. 126. 12 as-Sifr al-mubajjal, s. Siggel KataI. Gotha p. 65. , see Ullman, p. 193, note 2. 13-al-Iraqi al-Simawi, K. al-Aqalim al-sab`a, s. Siggel Katal. Gotha p. 25; see Ullman, p. 193, note 2. 15-Personal Collection- see Kraus I, p.187. Stavenhagen, Lee, A Testament of Alchemy, The University Press of New England, Hanover, New Hampshire, 1974, pp. 53-54, and appendix 1. Morieni Romani, Quondam Eremitae Hierosolymitani, de transfiguratione metallorum et occulta, summaque antiquorum philosophorum medicina, Libellus, nusquam hactenus in lucem editus. Paris, apud Gulielmum Guillard, in via Iacobaea, sub diuae Barbarae signo. 1559. Pernam, Petrus (ed), Auriferae artis, quam chemia vocant, antiquissimi authores, sive Turba Philosophorum, Basilea, 1572, 2 vols. McLean,op. cit. p. 3; .Ruska, Julius, Arabische Alchemisten, Wiesbaden, reprint, 1967, p.48. Holmyard, E. J., Abu 'l-qasim Muhammad Ibn Ahmad AI-'Iraqi. Kitab al-'ilm al- muktasab fi zira'at adh-dhahab; book of knowledge acquired concerning the cultivation of gold; the Arabic text edited with a translation by E. J. Holmyard. Paris: Geuthner, 1923..
 Stapleton and Husain, Three Arabic Treatisies on Alchemy by Muhammad Bin Umail, Texts edited by M. Turab, Asiatic Society of Bengal. Calcutta 1933, pp. 54, 84. Mukhtarat Jabir ibn Hayyan, edited by Paul Kraus, Cairo, 1935, p. 529. Sezgin, op. cit.,, pp. 111 and 126, and the Arabic updated version, Jeddah, 1986, pp. 163 and 188.
 . Professor Fuat Sezgin came up to help without delay and the present work is indebted to his unfailing support. He sent me copies were on CD-ROM which was an invaluable help in editing the Arabic text. After Professor Sezgin’s quick support, IRCICA in Istanbul sent later another copy on microfilm. The title of the Arabic treatise is: The Epistle of Maryanus the Hermit the Philosopher to Prince Khalid ibn Yazid. This is a translation of the Muslim verse that precedes the start of any text. بسم الله الرحمن الرحيمThe word Lord is the cleric word for God. The names of Khalid, Yezid and Mu`awiya were distorted in the various Latin manuscripts. See Lee Stavenhagen, p. 2, footnotes 1 and 2. Ghalib was a mawla and not a servant. A Mawla is a non-Arab Muslim. In the early days of the Arab conquests a Mawla chose sometimes to associate himself with an Arab dignitary and to become one of his followers..
 Arabic Rumi, is not Greek from Greece, it denoted a person from Asia Minor or Anatolia. When Anatolia became Muslim the word Rumi became a surname of a Muslim from that country ( e.g. Ibn al-Rumi).During the Umayyads Asia Minor was still Byzantine and so Morienus was a Christian Byzantine from Asia Minor..
 Major work is al-san`a in Arabic الصنعة In the later Latin revised versions the word Magistery was used. Dayr Burran is most probably Dayr Murran in Damascus. It was on the lower slopes of Jabal Qasyun, overlooking the orchards of the Ghuta. It was a large monastery, and around it was built a village and, one presumes, a residence in which the caliphs could both entertain themselves and keep watch over their capital. Dayr Murran often figured in poems of the time. The caliph Yazid I (father of Khalid) was staying there sometimes. Other caliphs and their representatives visited or lived there on various occasions. (Soudrel, E.I. under Dayr Murran). Khalid, according to this text, used to stay sometimes at Dayr Murran as well. Khalid was not a king because he did not become a caliph after his father Yazid. In the Arabic text he is called amir or prince. The Arabic name is Hiraql, hence the various Latin ditorsions. The Arabic text says: God help us in dealing with him because he is a wily man despite his old age. The Latin translator edited this Arabic sentence. This is the first question of the Morienus-Khalid dialoge. All Articles and Brief Notes are written by Ahmad Y. al-Hassan unless where indicated otherwise. The design of this website does not belong to Ahmad Y. al-Hassan, the design was based on common webdesign elements. All published material are the copyright of the author (unless stated otherwise) and may not be published or reproduced in part or in whole without the express written permission of the author.